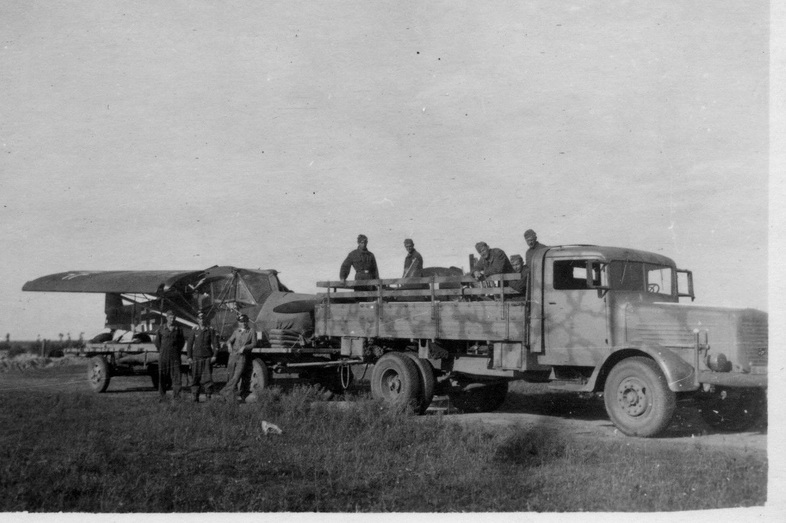 In general terms the Germans were not very good at aircraft salvage. 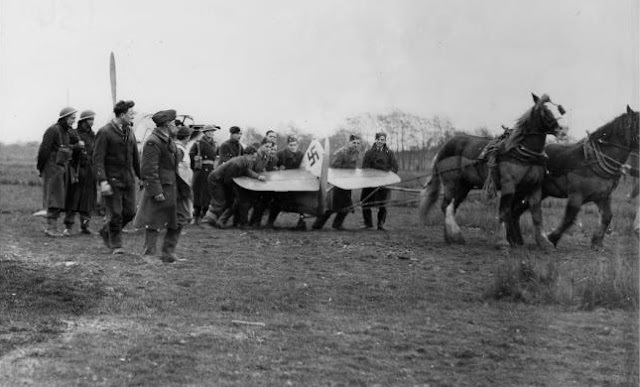 On the offensive during the early stages of the war the Luftwaffe was 'created' to support short sharp campaigns - a tactical air force operating close to the front helped maximise sortie rates but did not require a large salvage organisation. The Luftwaffe's logistics and support operations were designed accordingly. Front-line units only had limited means to repair and rebuild aircraft; damaged aircraft had usually to be entrained for rear area repair facilities which meant that they were out of action for a correspondingly lengthier time frame. 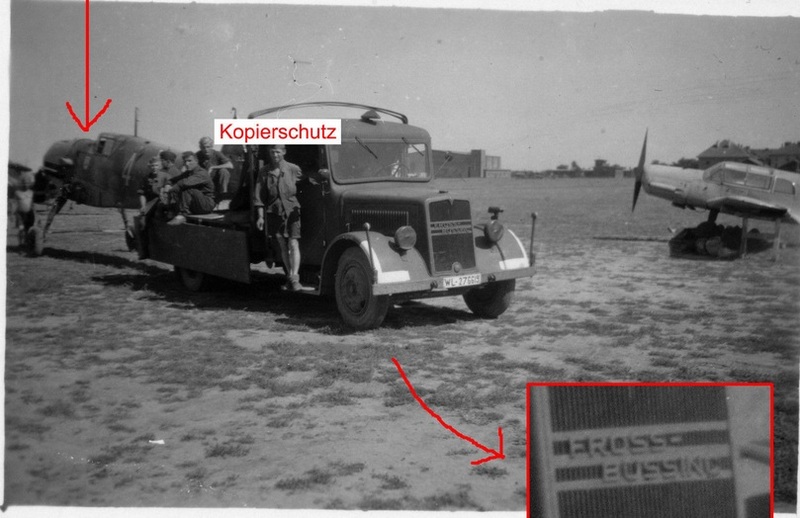 In his book 'Unflinching Zeal' Robin Higham indicates that during 1940 the RAF salvaged and repaired some 44% of aircraft 'shot down' compared with just 8% retrieved by the Bergungskommandos (salvage detachments) of the Luftwaffe. 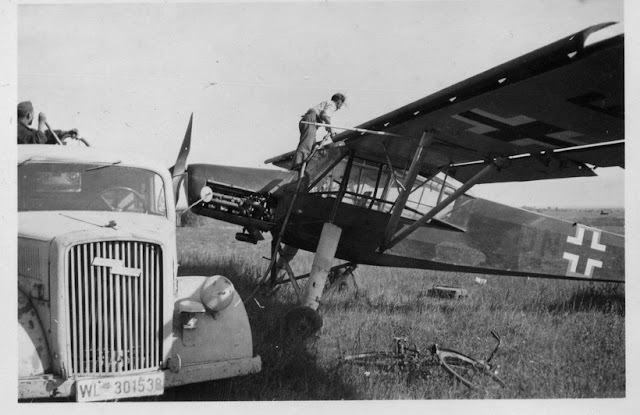 As the tide of war turned, aircraft serviceability rates in the Luftwaffe plummeted. Many aircraft - only slightly damaged or requiring only relatively minor interventions - simply had to be written off. In addition large numbers of Luftwaffe aircraft fell in inaccessible areas - such as the UK or North Africa (see below). On top of this, Luftwaffe losses through accidents and non-combat causes were huge...by way of example over one thousand aircraft were lost in the month of February 1944 alone....some 50% of these were accidents caused by inadequate training. (Boog quoted in Isby p361). 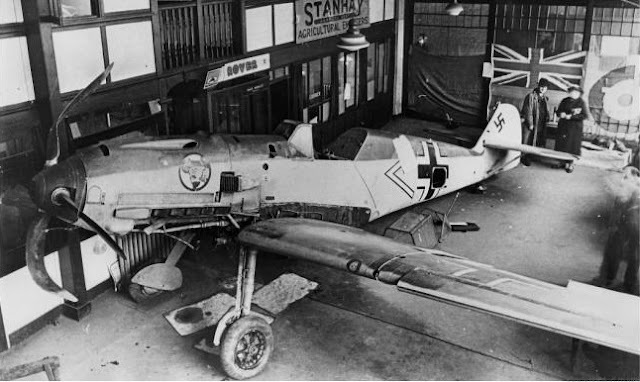 James S. Corum writing in " Why Air Forces Fail " states that Luftwaffe serviceability and maintenance rates were considerably lower than that of the Allies; 50-60% compared to 70-80%. As the tide of war turned against the Germans " the Luftwaffe's weak repair system ensured the loss of thousands of aircraft.." (Corum p210). The Luftwaffe did not have the resources or a logistics system in place to repair and put aircraft back into service. 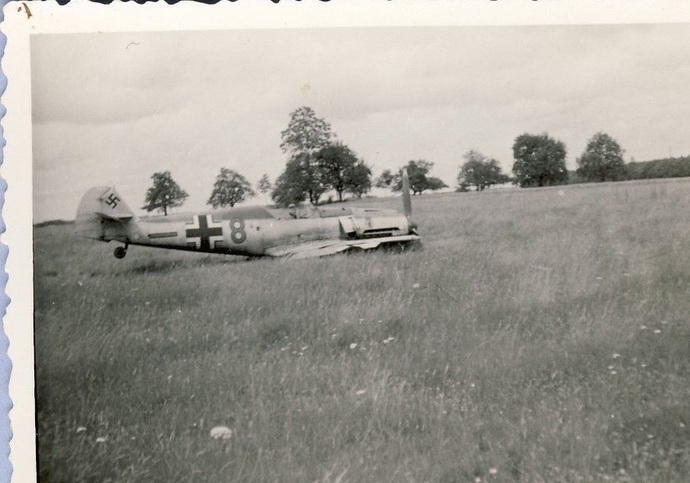 As much as one third of the Luftwaffe's losses during 1943-44 was the result of aircraft simply being abandoned. Many airfields over-run by the Allies - for example in North Africa - were little more than dumps..
Below; in the UK 49 Maintenance Unit salvage party retrieving Otto Zauner's II./ JG 53 Emil during late November 1940. More than 90 Bf 109 Emils made successful force landings in the UK during 1940, although some seven of these were partially or wholly destroyed by fire and a number were stripped and appraised at Farnborough.